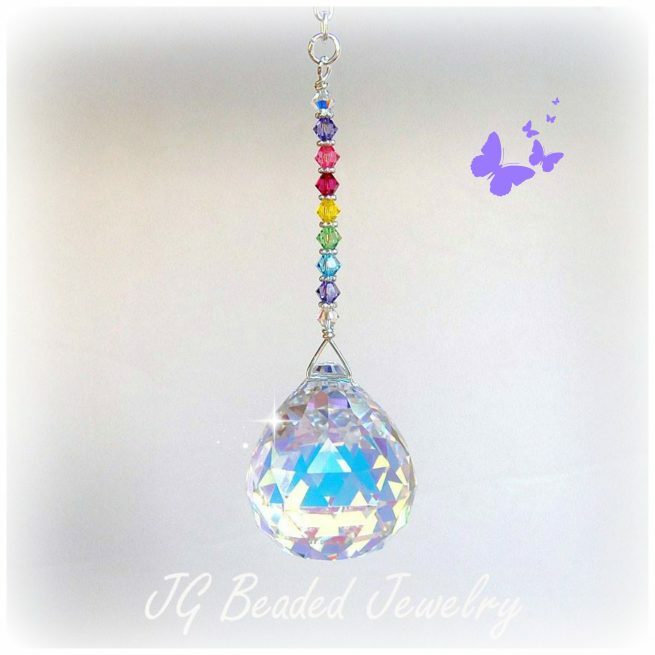 This pastel rainbow prism crystal suncatcher is wire wrapped for strength and attention to detail! 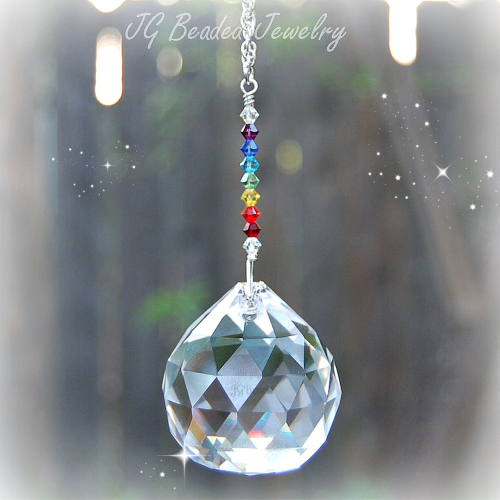 Swarovski crystal is the best of the best and the rainbow crystals are just gorgeous! 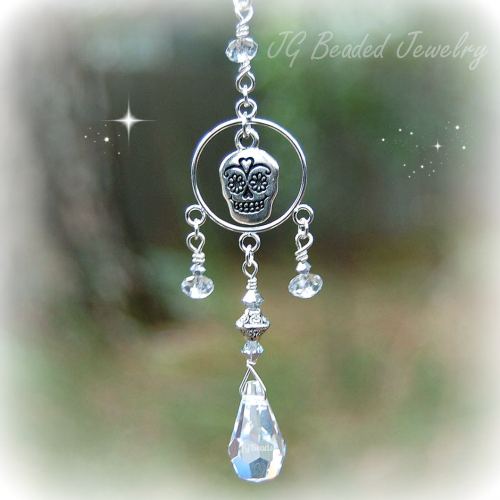 Depending on your choice of hanging options, this suncatcher is crafted to hang in a window, on the rearview mirror or simply attached to a ceiling light or fan pull chain. 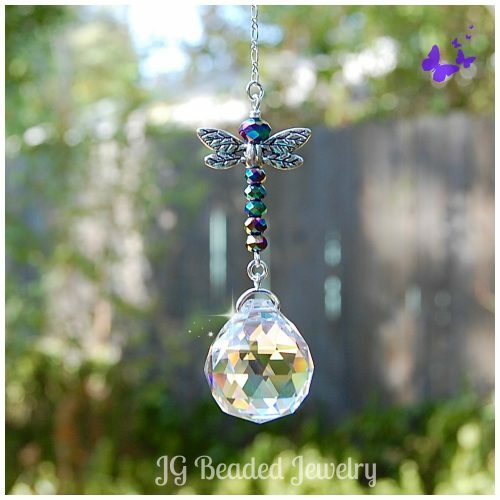 This pastel rainbow prism crystal suncatcher is designed with a quality 30mm prism crystal that has a partial Aurora Borealis finish which assists in a greater rainbow effect. 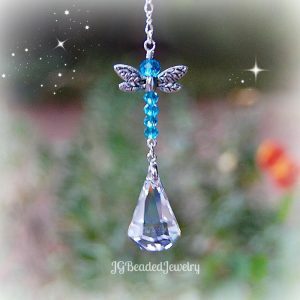 The prism is embellished with flawless and beautiful Austrian Swarovski crystals in a light pastel-ish rainbow color pattern with tanzanite, pink, fuchsia, yellow, peridot, aquamarine and lavender along with iridescent crystal beads on both ends, and fancy silver metal beads to accent the lovely colors! ♥ Swarovski is known worldwide for their quality, precision cut and flawless crystals.